There are lots of questions to answer surrounding Virgin Care's growing role in our health service, says Unite's national health officer Sarah Carpenter. The private sector has been extending its profit-hungry tentacles across the NHS, grabbing lucrative contracts. But so far it has faced little scrutiny in Parliament. The latest revelation that has caused concern is that Richard Branson’s Virgin empire has gobbled up nearly £2bn of NHS contracts in the last five years. The number of contracts is estimated to be about 400. A spokesperson for Virgin Care claimed this week that it has not made a profit to date and invests all the money improving services. But the fact Virgin Care was awarded a financial settlement – said to be in the region of £2m – when it sued after failing to win a contract to provide children’s services in Surrey, may call into serious question that altruistic statement. Details of the £2m payout were only revealed recently in their accounts. Unite, which has 100,000 members in the health service, will be writing to Dr Sarah Wollaston, chair of the health and social care select committee, to examine how Virgin and other private healthcare companies have acquired such a plethora of NHS contracts. The key issues for Unite are the lack of transparency in how these contracts were awarded – and whether they offer value for money for the taxpayer. With the spectre of the Carillion’s collapse in January this year still haunting the public sector, the select committee should urgently examine whether the NHS and the taxpayer is getting value for money from Virgin Care accumulating so many health service contracts. It will be a surprise to many people that Virgin, better known for its airline and decades of publicity stunts by Richard Branson, has stealthily become one of the UK’s leading healthcare providers. 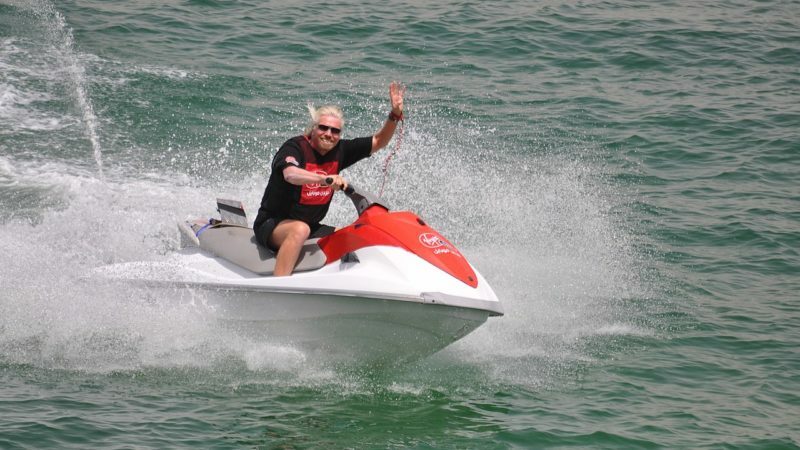 The scope of such an inquiry should not just focus on Richard Branson as he masterminds his business interests from the Caribbean island of Necker. It should be widened out to look at all private healthcare companies, and the scale and scope of their involvement in the NHS generally as well as the potential impacts and risks that this may have. MPs should ask for more transparency and openness in the tendering process for private healthcare companies. There is a level of opaqueness about how these contracts are awarded that is worrying. The privatisation of the NHS has little to do with improving patient care, and everything to do with the right-wing ideology that lauds the private sector and disregards the public service ethos underpinning the NHS. Unfortunately, there is little indication currently from the new health and social care secretary Matt Hancock that the direction of travel regarding NHS privatisation will be reversed. Patient care should not be put up for auction to private healthcare providers – it is not what was envisaged when health minister Aneurin Bevan was the midwife at the birth of the NHS in 1948. As the NHS celebrates its 70th birthday, it is entirely right that MPs should investigate the extent of private sector involvement in the health service. They should investigate what, ultimately, these companies are expecting to achieve from such involvement in the years ahead. And most importantly, they should look at how patients will benefit. On this, and many other issues, Unite will be doing all it can to fight for our NHS. Sarah Carpenter is Unite the union’s national officer for health.